If you’re searching for a professional Flemish translation services company, you’ve come to the right place. We pride ourselves on quality, affordability and complete customer satisfaction. All our Flemish speaking translators and interpreters are native, have at least 4 years of translation experience, and where relevant, sector specific academic qualifications. We regularly translate from Flemish to English and English to Flemish. We offer our Flemish translation services for legal documents, websites, financial reports and a lot more. Click on the icons if you want to find out more about the types of translations we support. Why choose Wolfestone as your Flemish translation services provider? Wolfestone has worked with a range of clients on Flemish language projects, across all document types. Clients choose Wolfestone because of the quality and service, and many of our clients have been partners for many years. With experience in Flemish document translation, Flemish interpreting and Flemish localisation, Wolfestone is well placed to help you achieve your business and communication objectives. Flemish is a West Germanic language most closely related to Dutch and generally regarded as the Belgian variant of Dutch. 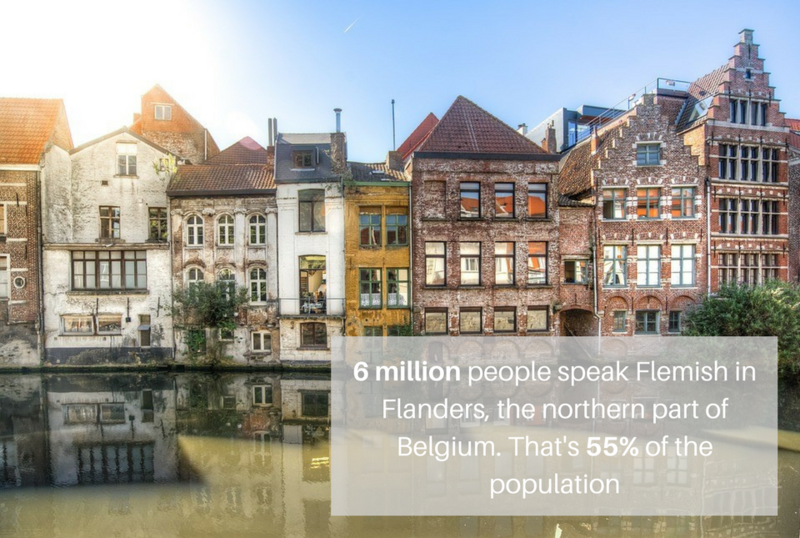 Flemish is spoken by approximately 6 million people in Belgium. There are four principal Dutch dialects in the Flemish region (Flanders): Brabantian, East Flemish, West Flemish and Limburgish. The combined region, culture and people of Dutch-speaking Belgium has come to be known as Flemish. It is also used to refer to one of the historical languages spoken in the former County of Flanders. Contact us for more information on our Flemish translation services.